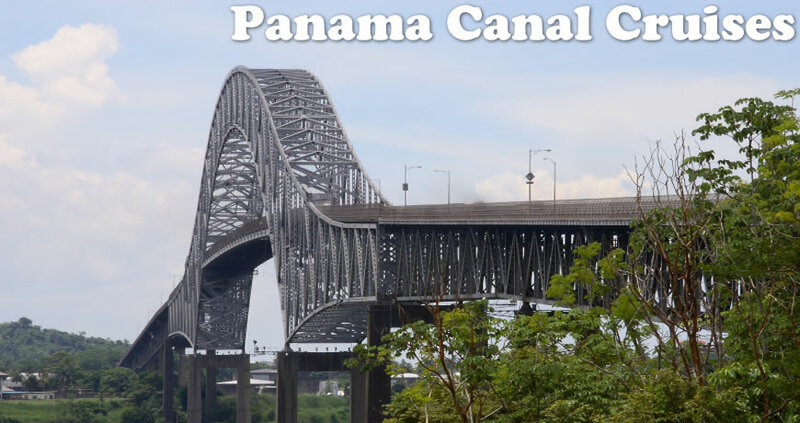 The Panama Canal is a unique cruise to take because not only do you get to explore exciting Mexican and Central American port of calls, but you can get an up close look at one of the most important engineering feats of the 20th century. The 48 mile-long waterway allows ships to pass between the Atlantic Ocean and the Pacific Ocean. Before the canal was built ships would have to travel around Cape Horn, the southern tip of South America. That would be a voyage of an additional 8000 miles! It takes a cruise ship about 12 hours to traverse the canal. When you cruise through the canal three sets of locks of the two-lane canal work as water elevators that lift the ships to the level of Gatun Lake, 85 feet above sea level, and later lower them again to sea level on the other side of the Isthmus of Panama. Of course that is an overly simplified explanation! The cruise line will often have an expert onboard to explain the workings of the locks and give passengers an overview of the history and politics involved in the canal’s construction. 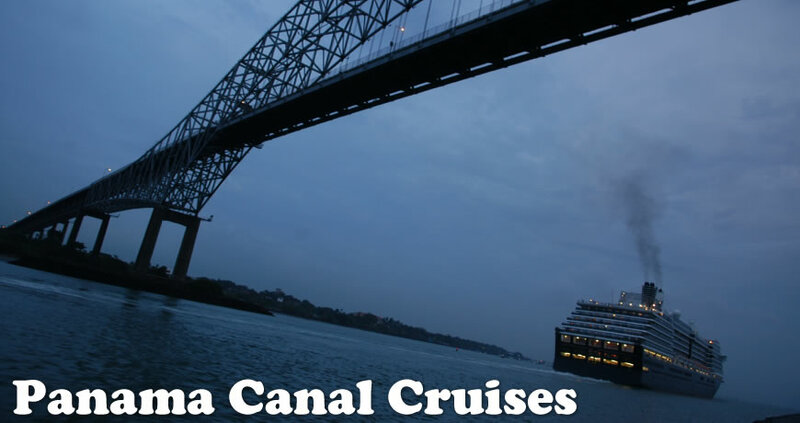 Panama Canal cruises are available as round-trip partial transits or one-way voyages that navigate the entire length of the canal. When doing the partial transit a ship will usually go as far as the first set of locks, then turn around in Gatun Lake, exiting the canal the same way it entered. These trips typically leave from Florida ports. Full transits however, go from East Coast to West Coast or vice-versa. 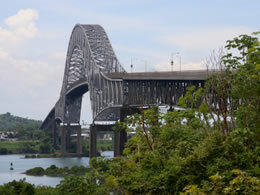 Many exciting Mexican cities are often on Panama Canal itineraries. 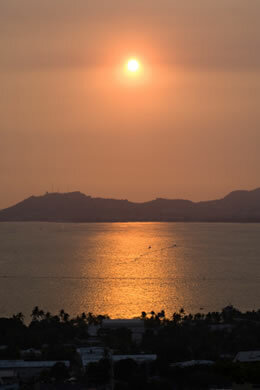 One such port is Acapulco, located on the west coast of Mexico on a deep, semi-circular bay. Beaches stretch along the bay five miles from north to south. Apart from tanning, Acapulco offers the world-famous La Perla cliff divers and an attractive old town that’s well worth exploring. If history intrigues you make a visit the 16th century Fort San Diego and its historical museum. Puerto Vallarta is located on the Mexican Rivera. The social center of town, the Malecon is a downtown seawall promenade. It’s a good place to admire the public sculptures and paintings, watch performances, shop or just people-watch. If you seek heart-pounding adventure try a 4 X 4 dune buggy tour where you will ride through multiple types of terrain, including small creeks rivers and treacherous off road trails. while at the same time experiencing the beauty of the Majestic Sierra Madre Mountain Range. Cabo San Lucas is another popular port. Fishing is one of the main reasons that many people come to Cabo San Lucas. Known as the “Marlin Capital”, there is more of this type of fish caught in Cabo than anywhere else in the world. If you’d rather just look, try snorkeling in Cabo San Lucas Bay, a protected marine sanctuary, which shelters schools of tropical fish, sea lions, and exotic marine life. Between North and South America, the seven countries that make-up Central America collectively offers their own unique and undiscovered treasure trove of reasons to visit. 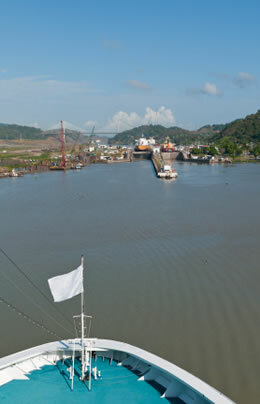 Panama is more than just the canal! It’s a land with incredible beaches on two oceans perfect for diving, fishing, surfing and kayaking. For something different in the port of Colon, take an excursion into the jungles of Chagres to the Embera Indian’s village or a ride to Monkey Island, where four different species reside along with animal species such as crocks, toucans, sloths and many exotic birds. There’s more exotic wildlife in Punta Arenas, Costa Rica. Imagine taking an excursion to Magdalena Island where you’ll see penguins, penguins, and more penguins, all in their natural setting! For a more peaceful day how about kayaking on the Strait of Magellan? Puerto Quetzal, on Guatemala’s Pacific coast, serves as a cruise passenger’s gateway to the inland attractions of this Central American country. Maybe visit the ancient city of Antigua, Guatemala’s one-time capital. The city gives you a glimpse of Central America’s colonial past. Visits to a coffee plantation or sugar mill are also interesting excursions. Traversing the Panama Canal, considered by some to be the “Eighth Wonder of the World”, is a rite of passage and something you’ll remember for a lifetime. Since ports of call can vary, be sure to compare itineraries and options. Cruises can be as short as 7 days for a partial transit to 21 days for a full transit. Whichever you choose, you can be sure that every Panama Canal cruise features stunning tropical beauty, palm fringed beaches, and a wonderful ship to enjoy!